We are back again and with a really interesting topic, this week we openly discussed our encounters and views of dating online. Online dating is the practice of searching for a romantic or sexual partner on the Internet, with a variety of mobile apps it fits into an everyday person lifestyle. It’s common to hear that If you haven’t met your partner at university or at work, then it will be tough for you to find a partner. There is some truth in this an average person spends most their time commuting, and at work what other opportunities are there to meet your next partner. 1 in 5 relationship have met their partner online, which highlights the changes within society. The common ways people meet are usually when they are out and about, in social settings with friends or online dating. Matching up by friends aka the friend referral offers some advantages such as a Full MOT check with past drivers (maybe too much information), but you know they share similar qualities – if you show me your friends it will show me who you are. But have you heard of the stigmas usually attached to online dating? Do you agree with the stigmas? Is it a sign of desperation? Or is it coming to terms with the trend – if you can’t beat them join them? Interested in something different? There’s a site for you? Now there are 100s of website and apps dedicated to online dating addressing people’s interests and hobbies; like take for example if you are a fan of dogs believe it or not, there is a dating site solely for dog lovers. 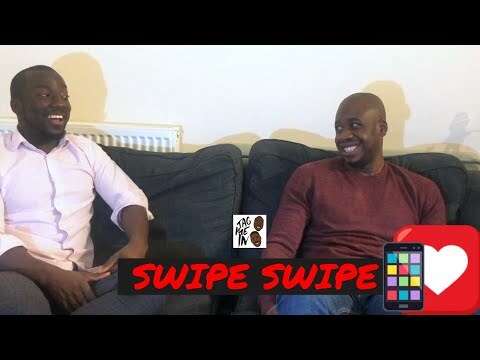 After sharing how we came to terms of dating online and joining the infamous “finger swiping” lifestyle we spoke about our experience on some of them. Plenty of fish also know as POF is a well-known dating app – just take one look at the app store, but Ola questioned the calibre of people on the site. Bumble is a great app but Anton questioned how popular the app was simply because of seeing old profiles of people who are now in a relationship even married with children. Tinder has a reputation as being filled with men who just want to have fun. Eharmony – We joked and laughed about Ola dating profile, and said paying for online sites is almost like paying for love, but paid sites offer a bit more quality. Eharmony makes it’s users complete a detailed questionnaire to correlate them with potential matches who have similar wants, desires and personalities. Taking away that feeling of dating or looking is a job in itself. It’s normal to be on various of dating sites, the important thing is you have to find a site that suits you. Catfishing moments – The moment you turn up to a date and the person you are meeting looks nothing like their photos. Does online dating amplify our shallow behaviours, we all know first impressions are important, and attraction is a key factor in deciding on a future partner. So does the power of swiping have an overall impact on our judgement in real life? People expect you to go above and beyond and a simple – “Hello Hi” does not work, some people profile explicitly states if you say “Hello, how are you?” they won’t reply back. Understandably a large volume of messages has led people to put these statements out there but, it’s got to be a two-way thing. Extending from the above, you have put in some effort in, it’s essential on these platforms. You may be the best person ever but I can’t tell that by a photo. If there is no effort then time to keep it moving. Benching Otherwise known as bread-crumbing, this is when someone you’ve been dating stops agreeing to meet in person, but continues to contact you over message and social media. Ghosting occurs when someone you’re dating suddenly stops making any contact, giving no signs at all that they’re no longer interested. It’s usually a result of them being too afraid to tell you they don’t want to take things any further. Take time out, it is important that people take time out when they’ve come out a relationship, be single and learn how to be single. Adapt with times, if you are someone who been single for a while and haven’t met anyone give online dating a chance. Cut the chat, you’ve matched with someone but it’s now a month and you are still talking…. take the leap and meet up. Be smart and safe when dating, meet in public and let someone aware of your plans. Anyway if you enjoyed the episode let us know and tweet as @tagmeinpodcast. We would also like to hear any dating questions you have for us? Got some stories or screenshots to share – get at us.